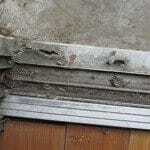 Delamination (veneer pulling loose from the frame of the door surface) generally occurs for three reasons. Reason #1: moisture has penetrated the wood because the door was not properly primed and painted. 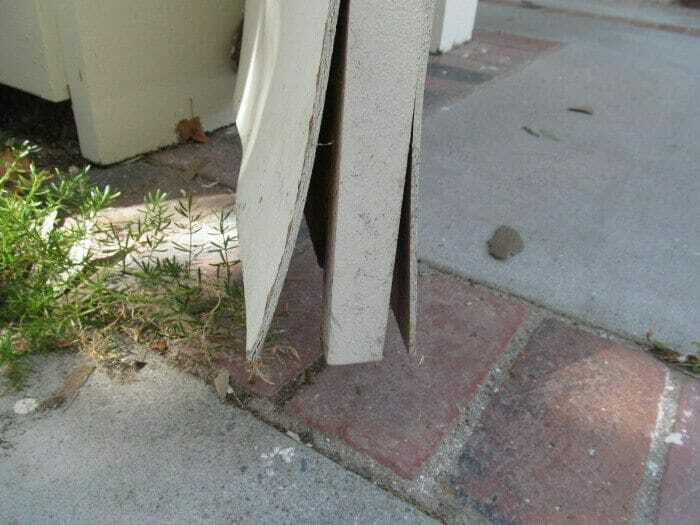 Garage side doors to the exterior or bathroom veneer doors will often have the skin (outer veneer piece of wood) pull loose from the door frame. Often this occurs because moisture has migrated into the wood, therefore it is important to keep a door properly painted. This includes, first having a good paint primer on the wood and then a good quality paint placed over the primer. An area that is frequently overlooked when painting the door is the edges. These edges may get trimmed when hanging the door, so it will fit the opening properly. 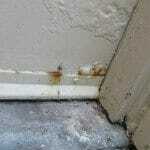 Thus moisture enters the doors wood through these unpainted or improperly painted areas. Another problem is that a homeowner does not maintain and repaint the door over time. Because all paint will slowly deteriorate, it is necessary to repaint the door from time to time. If sufficient glue was not used when the door was manufactured, then the veneer surface will delaminate. Also, if there was insufficient pressure applied to hold the veneer on the doorframe or insufficient drying time, the surface may pull loose. Sprinklers that spray on exterior doors on a regular bases will often cause a door’s skin to delaminate. Checking to see that there are no sprinklers spraying water on the door is suggested. If sprinklers are hitting the door, redirecting of the sprinklers is recommended. Poor ventilation in bathrooms that have steamy conditions when showers are being taken may likewise cause a door to delaminate. Wood will move or expand whenever water is added or removed. If the veneer coverings on doors are not sealed or painted properly, then delamination, blisters, checks and splits are likely to occur. Who to consult? 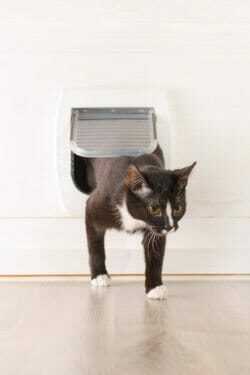 Door contractors and handymen. 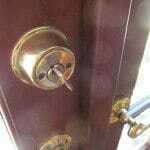 Maintenance and repair of doors is often done by home owners. 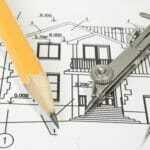 Door contractors and qualified handymen will likewise often do this work as well. 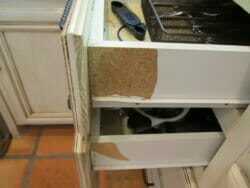 The "skins" on doors and cabinets will often come loose or buckle, especially in damp and moist locations. There are several things that can cause this and they can usually be repaired to some extent.